A little girl and a mouse live in the same house. But they can’t “tell anyone about each other.” If the little girl’s family knew about the mice the humans would “get a cat.” If the mice knew their daughter was friends with a human, “they’d flee to a hole in the ground.” So both girls (human and mouse) live separate but similar lives. 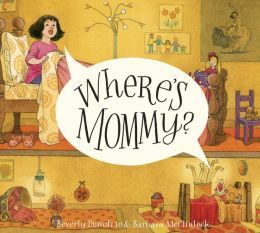 The illustrations especially showcase just how similar life is on a typical day when the families are winding down and getting ready for bed. The illustrations on top showcase the human family while the illustrations below show just how the mouse family’s activities are almost a mirror of the activities above. Of course things get tricky when each girl cannot get settled into bed without the help of their mothers. Both human and mouse go looking for the said parents when they discover that each mother has a secret as well…they aren’t the only ones with a friend of a different species. There are rich details illustrated into this fun story. Children will enjoy looking and comparing each version of the girls going to bed before the readers go to bed themselves. February 16, 2015 in animals, bed time, book review, picture books.